Update 5 July 2017: The previous record has been broken already, with the news this week that 1.5 million people planted 66 million trees along the Narmada river in the state of Madhya Pradesh. As development in India has raced ahead, demand for firewood, pasture and land for building has destroyed vast tracts of forest. In fact, since 2013, more than 2,500 square kilometres of very dense and mid-dense forests have been wiped out, according to India Today. Despite this, the Indian government reports that the total area of forested land has increased and new efforts are being made to expand them even further. The ultimate aim is 33% forest cover. Image: © Yann Forget / Wikimedia Commons / CC-BY-SA-3.0. As part of the reforestation initiative, 800,000 volunteers in the Indian state of Uttar Pradesh set a new world record: they planted 50.4 million trees in just 24 hours. The previous world record, set by Pakistan in 2013, was 847,275 trees. More than 80 different species of sapling were raised at local nurseries and planted at over 6,000 locations across the state in 2016. The mass planting was put in motion as part of a strategy by the Indian government to tackle climate change. The effort was part of India’s commitment to the Paris Climate Conference in 2015. In that agreement, India agreed to spend $6 billion to regrow forests on 12% of the country’s land and bring total forest cover up to 29%. “The world has realized that serious efforts are needed to reduce carbon emissions to mitigate the effects of global climate change,” said Akhilesh Yadav, the Chief Minister of Uttar Pradesh, speaking at an event promoting the planting. Can butterflies save the world’s forests? Is the world keeping its promise to protect forests? According to a study by the World Health Organization, six of the 10 most polluted cities on Earth are in India. It’s hoped that the trees will improve the country’s air quality. Trees are known to remove pollutants from the air in addition to converting carbon dioxide into oxygen. There is also evidence that urban trees can reduce power consumption by shading buildings in summer, and blocking cold winds in the winter. "The biggest contribution of this tree-planting project, apart from the tokenism, is that it focuses on the major issues," Anit Mukherjee, a policy fellow with the Center for Global Development, told the Telegraph. "It addresses many of the big issues for India: pollution, deforestation and land use." The 50 million newly planted saplings will be monitored using aerial photography. Up to 40% of them are expected to die within a short time of being transplanted; they are susceptible to disease, and also require a regular supply of water. 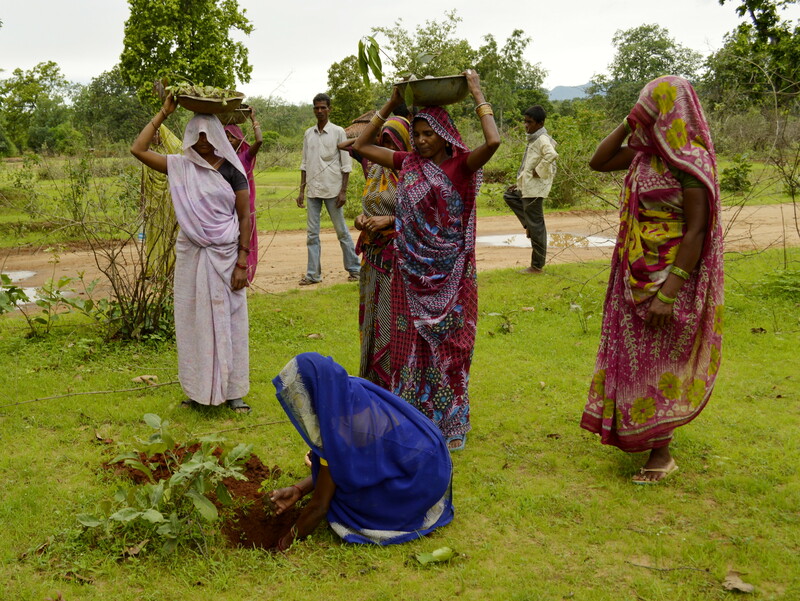 India is not the only country to make a commitment to reforestation. In December 2015, African nations promised to expand forested land to up to 100 million hectares. In the same month, a wide range of interested parties, from companies to countries, signed the New York Declaration of Forests. Though non-binding, the agreement aims to halve deforestation by 2020, and bring it to an end by 2030. It also sets an objective to reforest at least 350 million hectares of land.